Little Missy 'found' a Christmas tree bauble and was enjoying some frantic fun with it. I appeared in the living room to investigate what the noise was and she dropped and rolled into the "if I act cute, I won't get in trouble" pose! 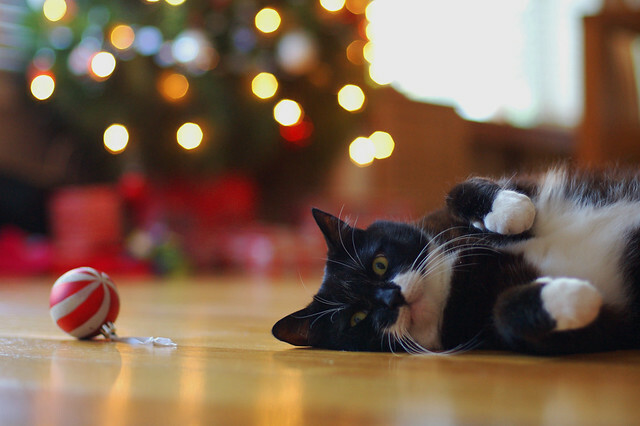 Too funny, although glass baubles do not mix with wooden floors and cat entertainment!